Summer is just around the corner and the kids are almost out of school for the summer. 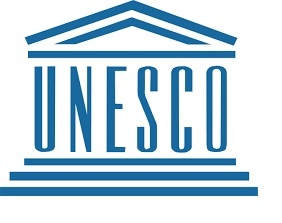 Many families will be thinking of going abroad/traveling for the summer. Whether it is camping out of town, going to a cottage or some exotic destination, The Baby Spot Bests theme for June is traveling! Take these great sites, designers and bloggers under your belt for your fun in the sun! I’m an ex flight attendant and primary teacher. Now a mummy to a very well traveled toddler, whose first flight was when I was pregnant and she completed over 17 flights short, medium and long haul before she was 1. We have a new baby due in October, who I can’t wait to take traveling with us… I’m wife to an Australian ( I think those trips count as ultra long haul!) and we own a lovely black labrador..
Mrs. ATWWAH and her family are jet setters! From Mexico to the UAE, this family is on the move. This blog is not only about the far off exotic places, but the fun day trips as well! The blog also has hotel reviews, a kids zone for apps, books, games and toys and festivals! This personal approach to world travel with your toddler is a fantastic read for those dreaming of those exotic destinations to families who want to give it a try! Aroundtheworldwithahighchair follows London based Mrs ATWWAH and her family of three (soon to be four) on their travels. The idea for the blog came about after a holiday to France where Master ATWWAH’s highchair literally went along too and they realised having children can make you do things that are fairly crazy. No matter how easygoing a parent you are, or think you are, taking a child on holiday can bring out the slightly bonkers in anyone. 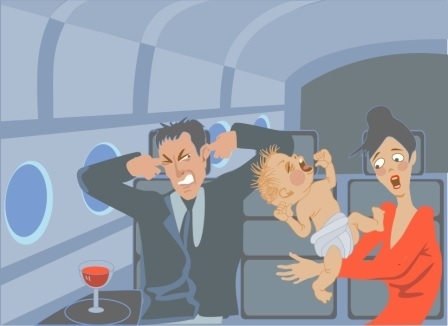 So, the blog was conceived and shares tales and tips of family travel as well as reassuring people that no matter what they have packed for a family holiday someone else has probably gone one better. As well as writing the blog, which recently won Best Individual Travel Blog in the UK National Blog Awards, Mrs ATWWAH writes for familytraveller.com and is always looking for opportunities to write about family travel. The day job is in marketing and Mrs ATWWAH has worked on entertainment and travel brands including Merlin Entertainments, ODEON cinemas and UKTV. Tomcat Trikes has changed the face of special needs bicycles. For the young and old alike, these trikes are custom built and distributed globally for those who have special needs but what to ride. Those who would be considered severely disadvantaged are now getting the opportunity to get outside and enjoy riding! They take into consideration the challenges of each individual and create a custom made trike for that person to enjoy! We love this product and they ship globally. They also make Tomcat chairs as well! 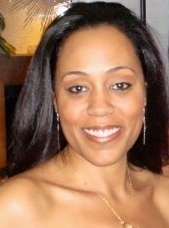 Danielle is our Mom of the month! She has a beautiful shop on Etsy called Althready Sew Sweet and is a Mom blogger on the search for DIYs, crafts and fun at Sundaes and Spaghetti. Her site is light, fun and she takes beautiful pictures! For all of our American readers, the Fourth Of July is coming up! How adorable is this double ruffle Fourth Of July skirt? 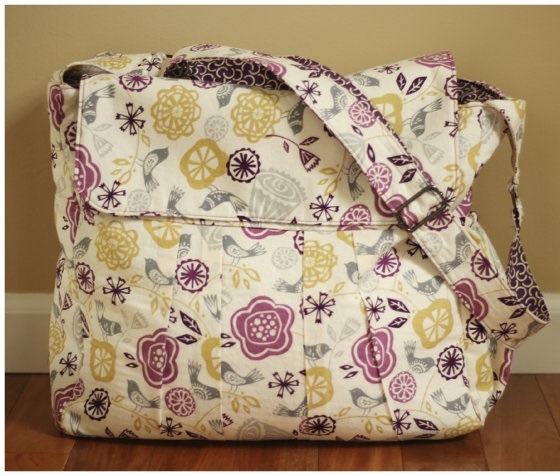 Travel in style with handmade diaper bag! This shop even has handmade tutus! I am a wife and stay at home mom to a beautiful one year old girl named Annabelle. I love spending time with friends and family, as well as doing anything crafty. As a first time mom, after having Annabelle I had lots of questions. While I could always ask my mom or mother in-law, I didn’t think they would appreciate a 5am call. 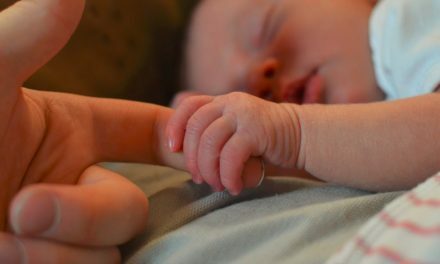 As I searched the internet for tips and ideas I came across a few mom blogs (Little Baby Garvin, House of Rose and The Busy Budgeting Mama). Not only did they give me wonderful ideas, but they also made me laugh. I found myself checking them for updates and just enjoying reading what they post. These blogs inspired me to start my blog, Sundaes and Spaghetti. I figured it would be a good way to keep family up to date on what was going on with us, and it was a good way for me to get my ideas and feelings out there. Later when Annabelle was diagnosed with brachycephaly and had to wear a helmet, I decided to blog about her journey. My hope is that that will help others going through similar situations. Now I try to include recipes, DIY projects and other tips that moms can use to make their lives easier. As I mentioned earlier, I am a crafter. This led me to create a diaper clutch/changing pad. I hated having a changing pad and diapers all mixed up in my diaper bag. After looking at the changing pad I figured why not make a clutch that folds out to use as a changing pad. After a few trials I completed one I was happy with. I posted a picture on Facebook, and a few people said that I should sell them. 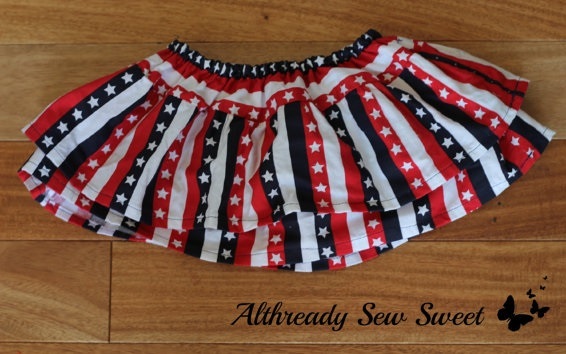 I thought about it a bit, and decided to open up my Etsy store Althready Sew Sweet. I searched Etsy for diaper clutches/changing pads, and while there were quite a few I didn’t see many like mine. A lot of them seemed to be kind of expensive as well. I wanted my shop to be affordable so I try to keep my prices low After opening my store I added tutu’s, and diaper bags to sell. 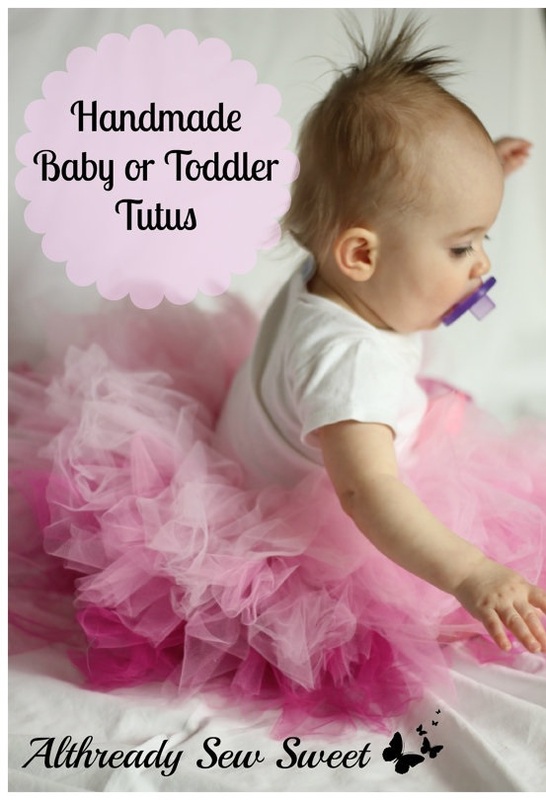 I will soon be adding highchair tutus to use for birthdays. 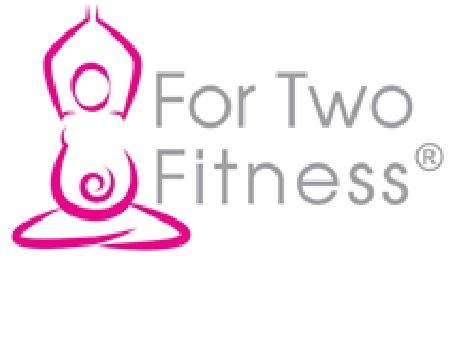 For Two Fitness is for the Momma who wants to continue working out and looking great. Their clothes are super soft, flattering and stylish. 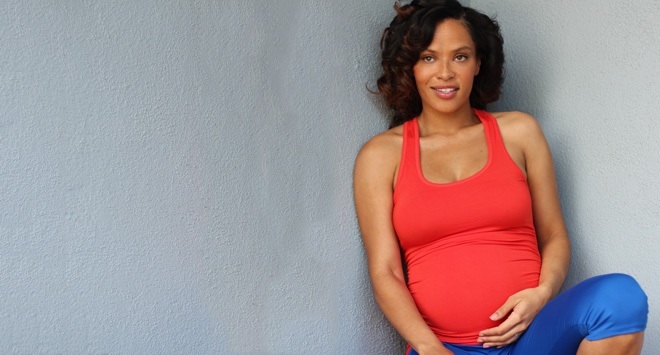 Feel good about yourself as you are keeping fit for not only yourself, but your little one who is on their way! Special thanks to our friend Rachel Florio-Urso at Celebrity Baby Trends for introducing us to this super fashionable line! This is a must have for all those Moms to be who want to work out, feel comfortable and look great! We had such a great time with The Baby Spot Bests in June. Do you think you have what it takes to be in July’s edition? 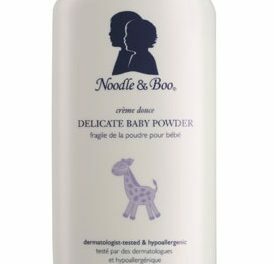 Noodle and Boo Delicate Baby Powder- Only The Best Will Do!